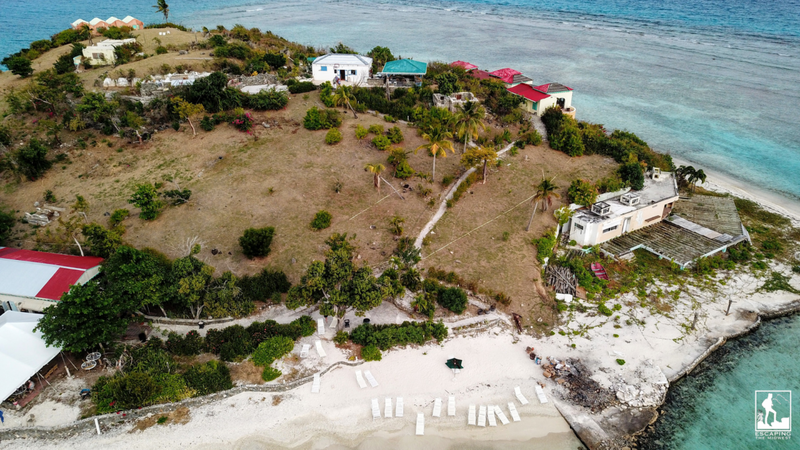 My photo of Marina Cay from January 2019, still damaged after the 2017 hurricane season. The building on the right side of the photo is the same building with the red roof in the bottom center in the photo below. Marina Cay prior to the hurricanes. After the devastating impact from Hurricanes Irma and Maria in 2017, most of the Virgin Islands were left in disarray. Years later, both the U.S. and British Virgin Islands are still recovering from the strongest Atlantic forming hurricane ever (Irma) and another two weeks later (Maria). I visited the U.S. Virgin Islands 7 months after the hurricanes and then visited the British Virgin Islands 15 months after the impact. While there are some places that are still rebuilding, most of the large tourist destinations and accommodations have recovered. The biggest tip I can give you about the British Virgin Islands is to BRING CASH and expect hidden fees while traveling to, around, and from the country. The one thing we seemed to notice while heading into and out of the British Virgin Islands is all of the fees. Obviously tourism is their major money maker, but the islands seemed to be making fast cash out of tourists, leaving us with little or no choice but to pay these fees. Lucky for us, the official currency of the British Virgin Islands is U.S. currency, mostly because of its proximity to the U.S. Virgin Islands. 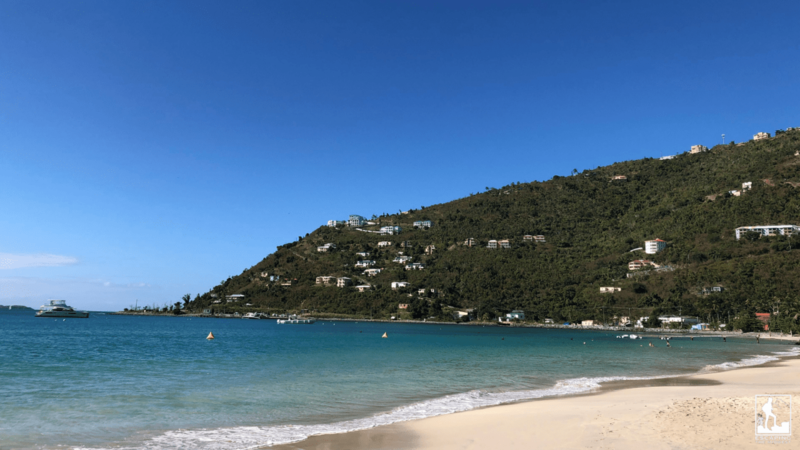 For instance, we landed at the airport in St. Thomas and had scheduled a ‘fast ferry’ ride to Tortola (I recommend booking online ahead of time). Once arriving at the ferry dock, we checked in, and a ferry employee offered to take our bags. However, the cost was $5 a bag (cash!) and the employee walked the bag literally ten steps to a large platform push cart behind the counter. Plus, the guy wanted a tip for taking the bag. So, with the $10 cost of letting the guy take our two bags, we didn’t have to worry about our luggage. However, we didn’t realize we could just carry it onboard ourselves. The company made it seem like we had to give them our luggage, but I did see locals carrying their own luggage aboard. It should be clear in writing on a wall or somewhere that taking care of your luggage is a service they can provide and not a necessity. The ferry service makes it seem like you don’t have an option to keep your bags but there’s nothing stopping you from carrying your own bags aboard. Pro Tip: If you want to get through the customs line faster (because it is a very slow line), be one of the first people to get off the ferry! After passing through customs, you’re immediately told to pay a $10 environmental fee per person (again, in CASH). Also, taxis on the island only take cash. Plus with all of the tipping expected in certain places, you need to bring lots of cash. 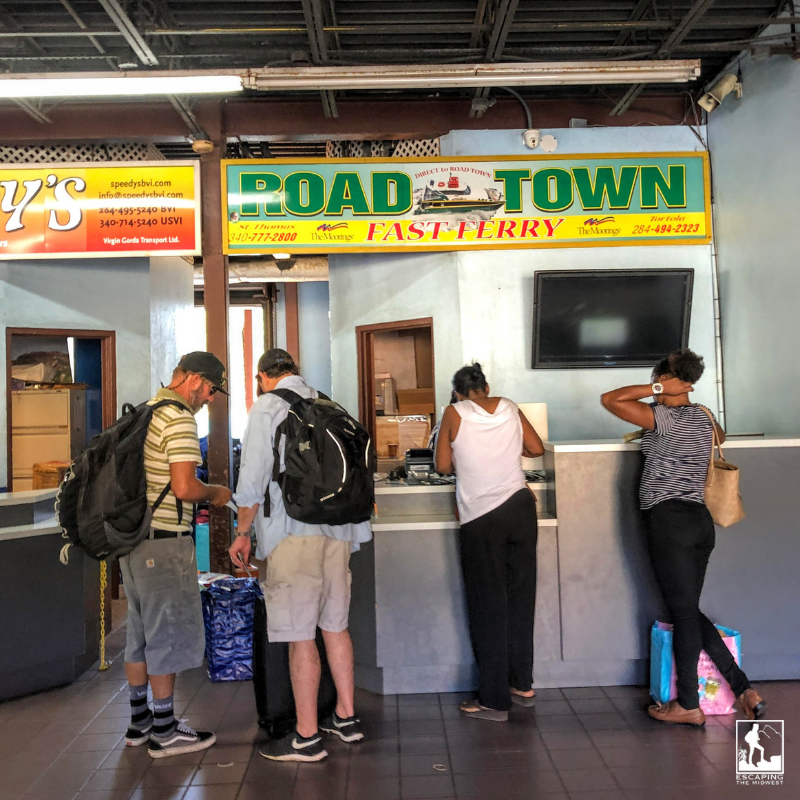 When we were leaving the BVI’s and heading to the U.S. Virgin Islands, we once again took the Road Town Fast Ferry. The guy collecting bags and luggage came out to retrieve our bags for $5 each, as the cash kept flying out of our pockets. After checking in to the ferry, we had to pay a $20 per person departure tax (seriously?!) but the islands will accept a credit card or cash payment. Following that, you have to clear security, as you’ll be heading back into the U.S. Just be aware that while you’re waiting for the ferry, if you have to use the restroom, you will have to walk back through the security area to get to the restroom. You’ll have to wait for the officers to flag you through, both ways, otherwise you’ll get stuck in the long security line again. Bottom line – bring plenty of cash! 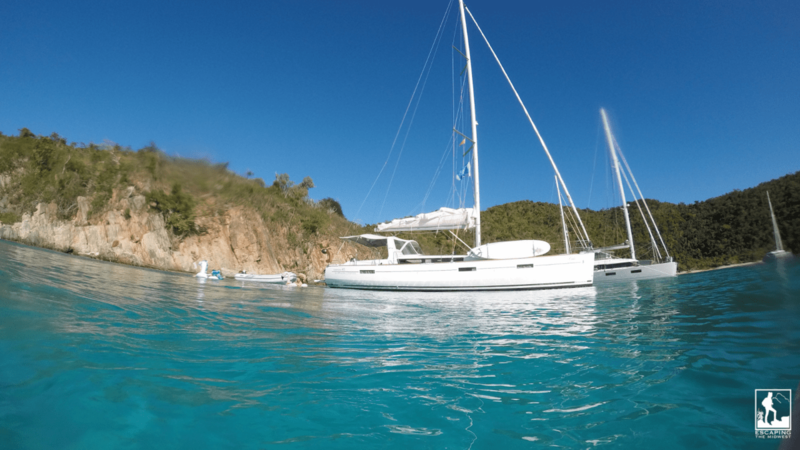 You can’t beat the turquoise waters of the BVI’s! In addition to the general relaxed attitude of the islands, be prepared to have longer wait times at businesses. Some places are short-staffed, others are still recovering, and service is much slower in general than on the U.S. mainland. Please be patient and considerate while these establishments work to rebuild and resume normal operations. What a lot of people don’t know is that Pusser’s Rum creates and blends the original British Royal Navy rum. From 1655 until 1970, British sailors were given a daily ration or a “tot” of rum. This daily rum ration was one of the longest and unbroken traditions in sailing history. There is a lot of Pusser’s pride in the BVI’s and many of their restaurants feature maritime artifacts. There are several Pusser’s locations in the BVI’s where you can dine and/or drink. The Pusser’s Pub and Restaurant out in Marina Cay is still recovering from storm damage, but still packs in people in the evenings. 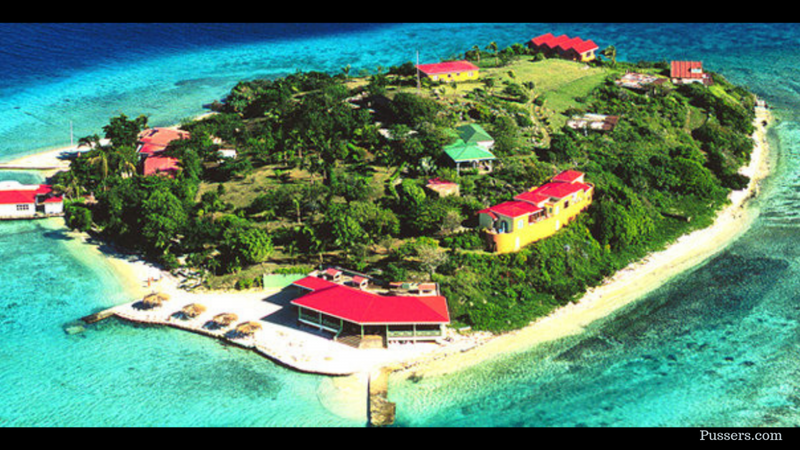 There are also Pusser’s establishments in Road Town, Cane Garden Bay, and Leverick Bay on Virgin Gorda. Click here for more information on Pusser’s. Pusser’s has several locations. This one is in Cane Garden Bay. My crew checking out Pusser’s in Road Town, with their EXTENSIVE drink menu! I don’t recommend renting a car in the BVI’s; just transport via foot or by taxi. Taxis aren’t cheap, but it’s challenging to drive in the left lane (Yes, both the US and British Virgin Islands drive on the left side of the road). This is especially true because the islands drive US cars, so the driver sits on the left, driving on the left side of the road. Driving when you’re closest to the side of the road isn’t easy. Plus, with the combination of steep hills, narrow roads, and fearless local drivers, you’re better off leaving the driving to someone else. Just buckle up! Unless you are staying at an upscale, luxury resort, the general dress code in the BVIs is casual and carefree. Appropriate beach attire is welcome at most places. Be sure to wear shoes and cover-ups over swimwear. Upscale restaurants and resorts may require more formal attire like sundresses and collared shirts and pants, so be sure to check their websites and pack accordingly. If you need a hotel option while in Road Town (Tortola), I recommend Maria’s by the Sea Hotel. You can see my review of their hotel here. 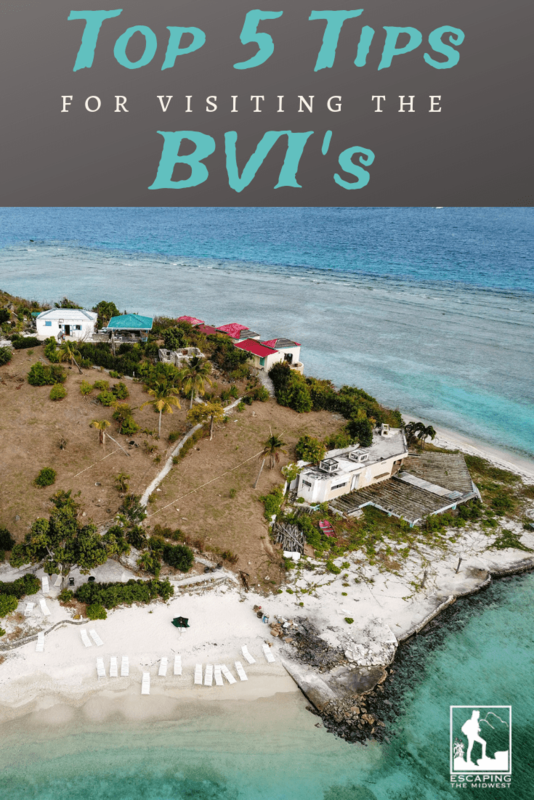 Also, if you plan on sailing while in the British Virgin Islands, check out my post on sailing the BVIs, offering helpful tips on sailing. For info on the U.S. Virgin Islands, click here for a previous post for my top things to do in St. Thomas. 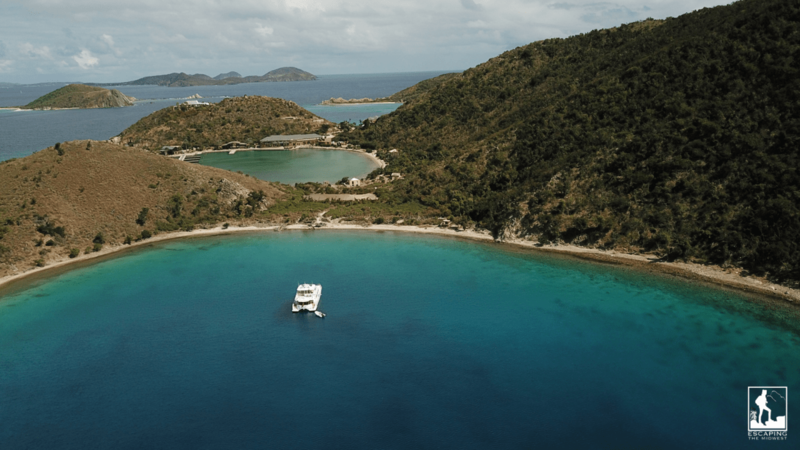 Both and U.S. and British Virgin Islands thrive on tourism and are happily accepting visitors. Let’s help boost their economy and get these amazing islands back on their feet!